My favorite poet is Maya Angelou. The day she died, I was devastated because I knew I would never again hear her voice or read new poems she had been inspired to write. Our backgrounds, our skin colors, our ages, were so vastly different. There couldn’t have been two more opposite people in the world than us. And yet, her words resonated with me and still, today, when I pick up one of her poetry books, her words click. And now, I think I know why. I suffer from Imposter Syndrome. It wasn’t until the age of the Internet that I was able to put a name to how I view myself and my accomplishments and understand that I’m not the only one who suffers from this. Impostor syndrome (also known as impostor phenomenon or fraud syndrome or the imposter experience) is a concept describing high-achieving individuals who are marked by an inability to internalize their accomplishments and a persistent fear of being exposed as a “fraud”. The term was coined in 1978 by clinical psychologists Pauline R. Clance and Suzanne A. Imes. Despite external evidence of their competence, those exhibiting the syndrome remain convinced that they are frauds and do not deserve the success they have achieved. Proof of success is dismissed as luck, timing, or as a result of deceiving others into thinking they are more intelligent and competent than they believe themselves to be. Some studies suggest that impostor syndrome is particularly common among high-achieving women. See, even that definition makes me uncomfortable. Using words like their competence and high-achieving women, I’m thinking to myself, I’m neither competent nor high-achieving. I can’t even read an explanation of imposter syndrome without doubting myself. I’ve got it bad, ya’ll. Writing my book was surprisingly easy, because it was me, my computer, and my printer. No one was looking at it. Then, I began to turn over parts of my book to my friend Teri. I’m sure she was tired of me constantly asking, “Is it OK? Besides the misspellings and the grammar, do you like it? 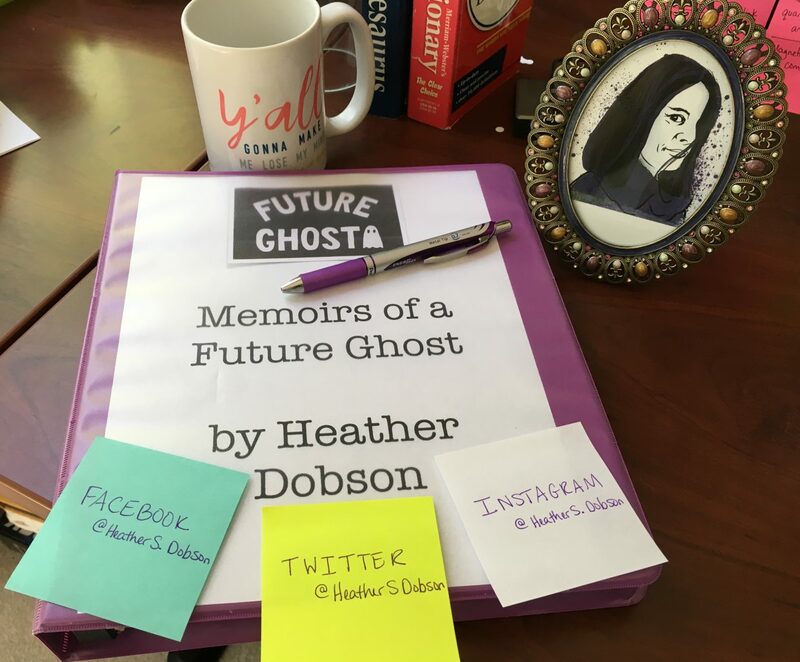 I mean, would you enjoy reading this book?” I can see her sighing and rolling her eyes as she typed, “Yes, Heather, I like it!” and the unspoken, “JUST SHUT UP ALREADY!” that probably crossed her mind. The difficult part of this whole process has been sending out query letters to literary agents. Even though I know, instinctively, that I (like many other writers before me) will receive piles of rejection letters, I feel like this is just going to substantiate my feelings of being a fraud. My imposter syndrome will finally have validation. And that scares me. Finding out that my writing idol Maya Angelou also suffered from imposter syndrome not only makes me sad, but also gives me hope. If she was convinced of her perceived failings, then maybe I have hope. But, it wasn’t just Maya Angelou who felt like a charlatan, it was also Albert Einstein. Like, seriously, my other idol felt like a cheat, too?! Imagine what all the sufferers of imposter syndrome could accomplish if we could shed this doubt about ourselves and go out into the world be who we’re supposed to be. The logical, non-emotional side of my brain knows that through this whole process, no matter what happens, I will have succeeded. Whether I receive tons of rejection letters and have to self-publish or I someday watch Jennifer Garner play me on the big screen (SNORT! ), I will have beaten my imposter syndrome. For the first time in my life, I’m stepping outside my comfort zone and doing what I never thought possible. I’ve had to accept that my 45 years on this planet has been me hiding from the world because I didn’t want to be seen as a pretender. But, where did that get me? Nowhere. Someday, when you all read my book, I want you to be honest with me. Tell me if you love it, like it, or hate it. Don’t hold back. Even though my imposter syndrome will continuously whisper that I’m a faker, my writer will tell me that I’m brave and that I should do this again. And I will thank you.